Born August Delfet in Schleswig-Holstein in 1892, August Dudley Peters was adopted by a British aunt at the age of 3, went to cambridge, and lived in London thereafter. He had a formidable reputation as a literary agent – he founded his agency in 1924 – and represented Rebecca West, Hilaire Belloc, Arthur Koestler, Evelyn Waugh, J.B.Priestley and Kingsley Amis (among others). Those six alone must have required great skill. His agency still exists. About seven years before his death, and six before retirement, he took on the young Pat Kavanagh as an agent (1966) and is said to have impressed on her the virtue of silence. He was also a film producer, and had a long relationship with the actress Margot Grahame from 1948 until his death (they married in 1958). 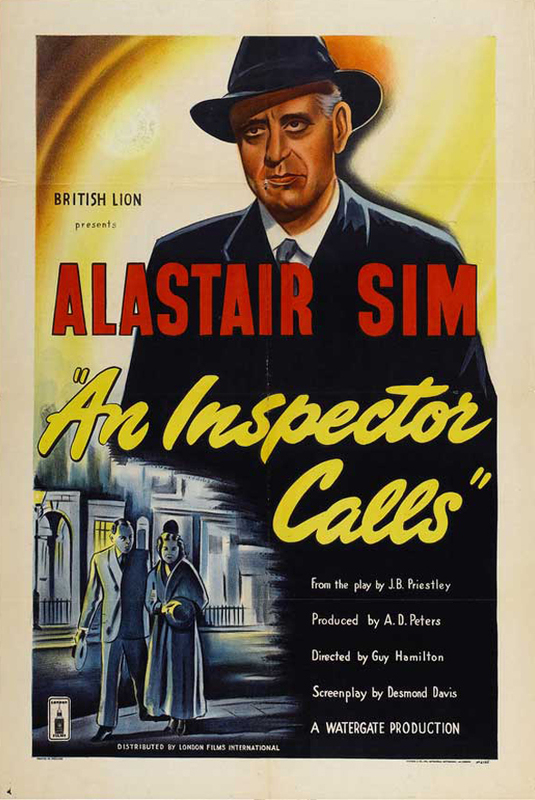 The first and most well-known of his productions is the 1954 version of An Inspector Calls. My impression is that he had been married twice earlier in 1924 and 1933. He had at least one son, who was killed in the last week of World War II.